Most of the lives in this technological era are shifting towards the fast lane. So, with this shift there is an ever increasing need to access data faster and more efficiently. 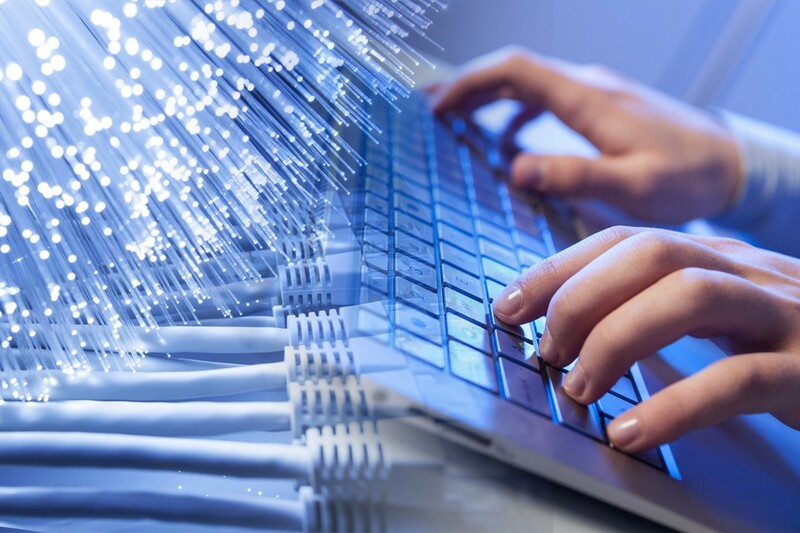 The dramatic increase in internet speeds over the past decade has been a proof of that as the average global internet speed has raised from 600 kbps in 2007 to 7 Mbps in 2017. The total increase in internet speed year-in and year-out has been 26% per year on average. Considering the global average speed was 4 Mbps in 2014, that leap in global internet outreach is getting bigger and bigger. The reason for that is that even in the countries with slowest internet possible, 1Mbps has become the lowest broadband speed on offer; it used to be 512 kbps in 2014 and 256 kbps in 2010. 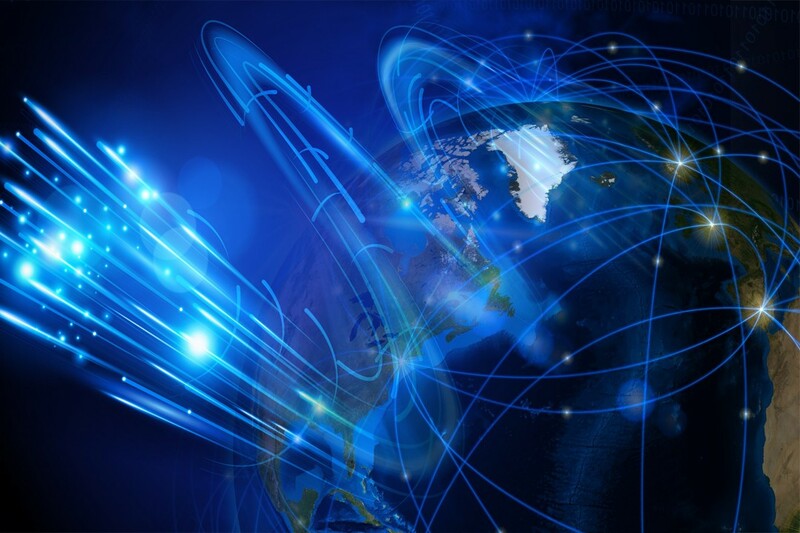 The internet speed in countries with ultrafast connections is however the main reason the average speeds are getting such a boost. Countries like South Korea, Japan, Sweden, Hong Kong, UK, US and UAE have made average internet speeds of over 15 Mbps a norm. There are two main reasons for this dramatic increase. First is the advent of new technologies and the competition for places of tech giants in the domestic markets. Second reason is because of the introduction of HD, 2k and Ultra HD (4k) content on the internet. In order to stream a 4k video uninterrupted, you at least need a 10 Mbps internet connection. And with so many applications one the smartphones siphoning speeds, multi-tasking and other reasons, the requirement for that speed is increasing at high pace. For further information about how to calculate speed check this (2015, Q3) Report. Latvia is a small and sophisticated nation with a population of 2 million. With most of the population living in urban areas, the internet speed is one thing the country has in abundance. With 16.9 Mbps average speed, it is the first entry in our list. Netherlands has one of the highest percentages of internet connections in the world, which they have always been boastful about. 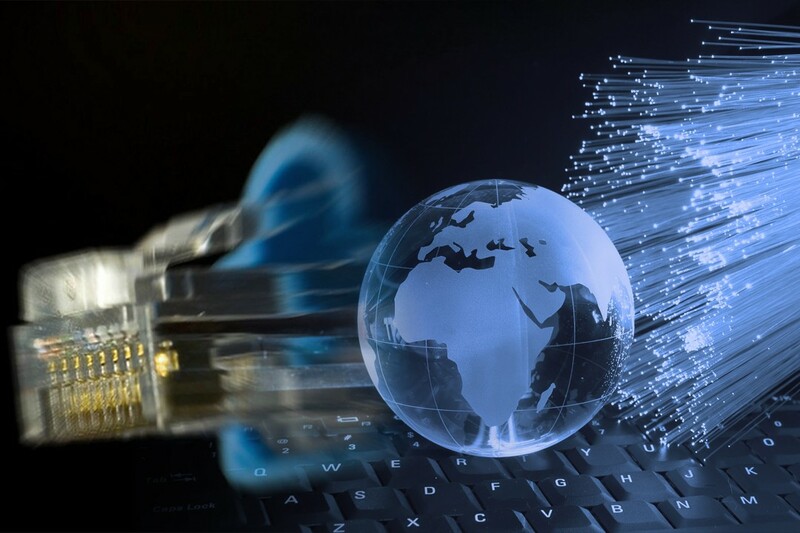 The country also has internet connection that is among the fastest with 17.3 Mbps average internet connection. A ruling in 2010 by the Ministry of Transport and Communication made it so that each citizen at least has 1Mbps internet connection. The country hasn’t looked back since with an average speed being 17.6 Mbps at the end of the year 2016. Japan is one of the very few countries including USA and UK that have a 100 Mbps. 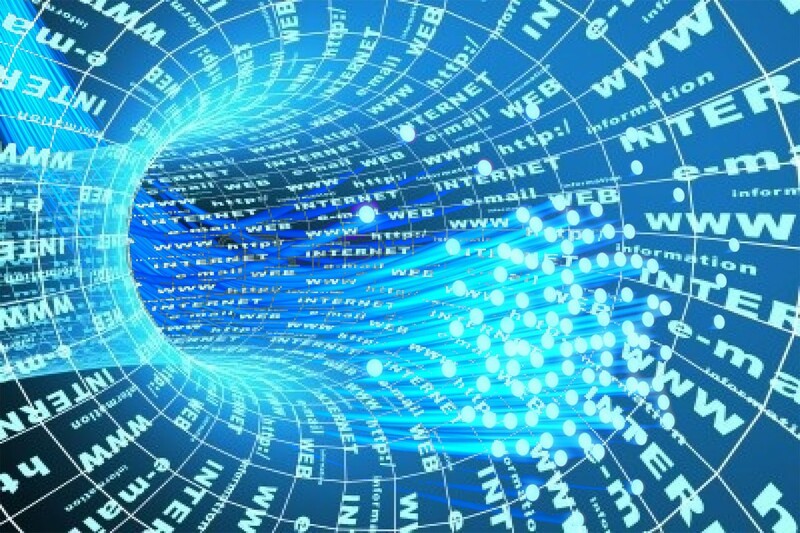 Most of the country is running on high speed fiber optics and 18 Mbps is the national average for internet speed. Singapore has become one of the most expensive cities to live in. With a high living standard it is understandable the internet connections would also be fast here. Its average speed is 18.2 Mbps. Switzerland has 18.4 Mbps average internet speed which makes it very close to the 6th and 7th placed the list of countries with fastest internets. With such a small margin, the rankings in the middle could shift dramatically next year. Sweden’s increase in internet speed has been meteoric and it has been an average of 32% increase for the past five years. Now Sweden has an average internet connection of 19.7 and a considerable lead on fifth place Swiss connection. Another Scandinavian nation with impressive internet speeds. 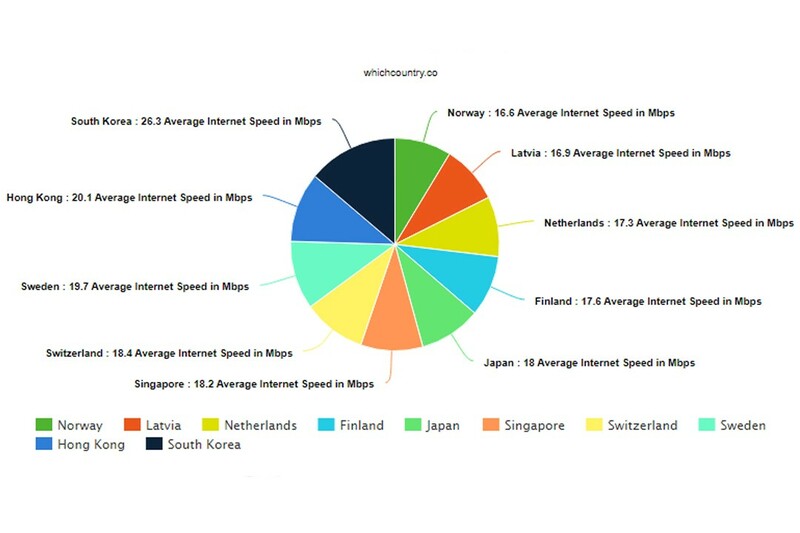 Denmark is actually just outside the top 10 with 16.6 average internet speeds while Norway is second in the list at 20 Mbps. The country had dramatic increase in speeds across the nation for the previous year. Hong Kong has an average internet speed of 20.1 Mbps and it was the very first country to go past the 60 Mbps barrier in the world in the year 2013. The country with tech giants like Samsung, LG and KEPC is going to have high internet speeds. So when you revolutionize the smartphone market for the whole world, providing internet connections that are over 100 Mbps and a national average of 26.3 Mbps is more like a given.